I decided to go with a different design for each grade level. 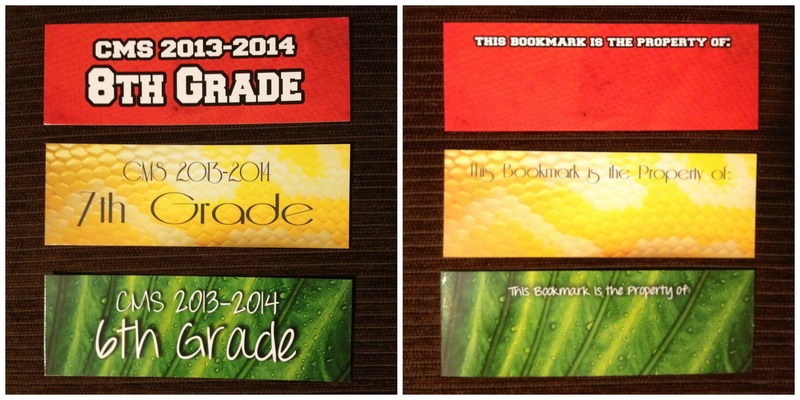 And each grade has a “color” for their lanyards and IDs that stand out against their school uniforms, so I went with those colors for the bookmarks as well. I also made them so there’s a place on the back for students to write their names. I’m so happy with how these came out that I’m definitely wanting to put a bookmark contest on the agenda for this school year! It would be so exciting for students to see their own artwork on a bookmark all over the school!